(Bloomberg) -- Wells Fargo & Co.’s credit outlook was cut by S&P Global Ratings after the bank’s chief executive officer stepped down last week. S&P lowered the outlook on the bank’s credit rating to negative from stable, it said Monday in a statement. The lender’s rating was affirmed at A-. 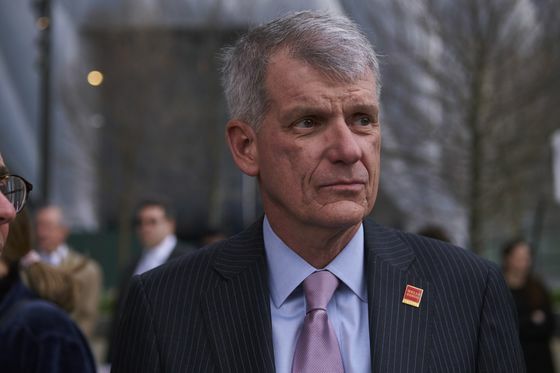 Tim Sloan gave in to critics and abruptly stepped down Thursday, after the 31-year company veteran struggled to tame a range of scandals, launching the fourth-largest U.S. bank into a hasty search for a successor. The lender’s board said it plans to look externally for a permanent replacement. “The leadership transition adds a layer of uncertainty to the company amid a more protracted timeline than we had originally expected for Wells to resolve regulatory matters related to governance and operational risk management,” S&P said. S&P cut Wells Fargo’s rating last year after the Federal Reserve imposed a growth restriction on the bank, limiting assets to their level at the end of 2017 until the bank fixes its missteps to the regulator’s satisfaction.